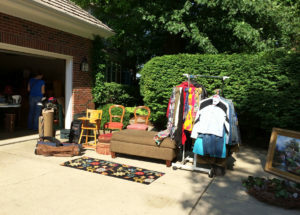 The Wheaton, IL – Find Your Mark Chapter just hosted their fifth annual Garage Sale Fundraiser, so we asked Beth Johnson, the chapter leader, to share some of her tips and tricks for putting together a successful fundraiser. And she should know! This year the Wheaton Chapter raised $7,400 (and counting!) at their event, all of which goes toward supporting the four Touch A Life children they sponsor. We have a core committee of four volunteers. We have worked together the last several years and meet a couple of times during the year to discuss new ideas and talk about better ways to seek more sales and generate more interest. We each have a job and carry it through from start to finish. Jobs include yard signs, tables, and publicity. We try to have the sale at approximately the same time each year. 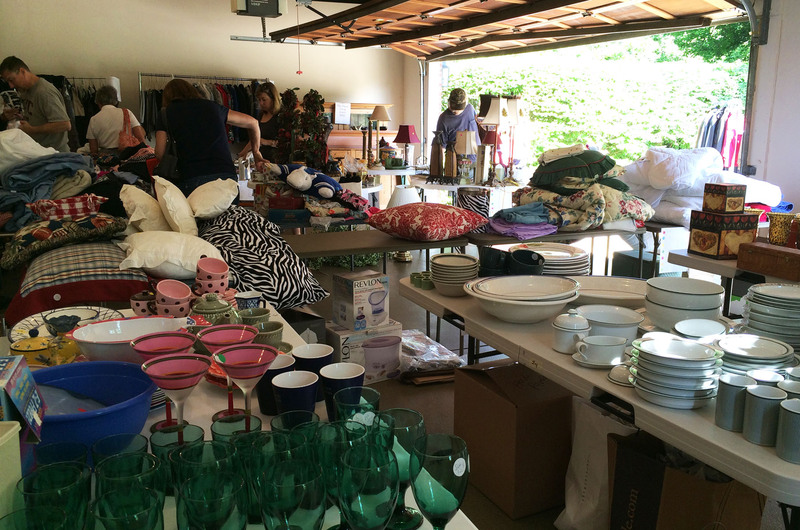 Each year we gather lots of stuff to sell. About 12 – 18 families donate merchandise (household items, linens, toys, gently used clothes, books, china, furniture, etc.). We try to have lots of quality merchandise and we never want to sell anything for less than $1! After the sale, we donate anything we don’t sell to a local charity. Our core committee is amazing. We work for 4 consecutive days – 2 days setting up and 2 days for the actual sale. The committee works tirelessly and cheerfully throughout the event. We also have a couple of extra volunteers to assist customers, answer questions, organize merchandise, run errands, etc. We had wonderful articles in the two local newspapers again this year. 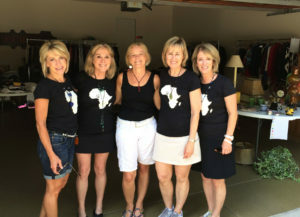 Both articles featured color photos, a description of our event, and information about Touch A Life Foundation and the work they are doing around the world. We also posted information about the sale on Facebook, Instagram, and Craig’s List. 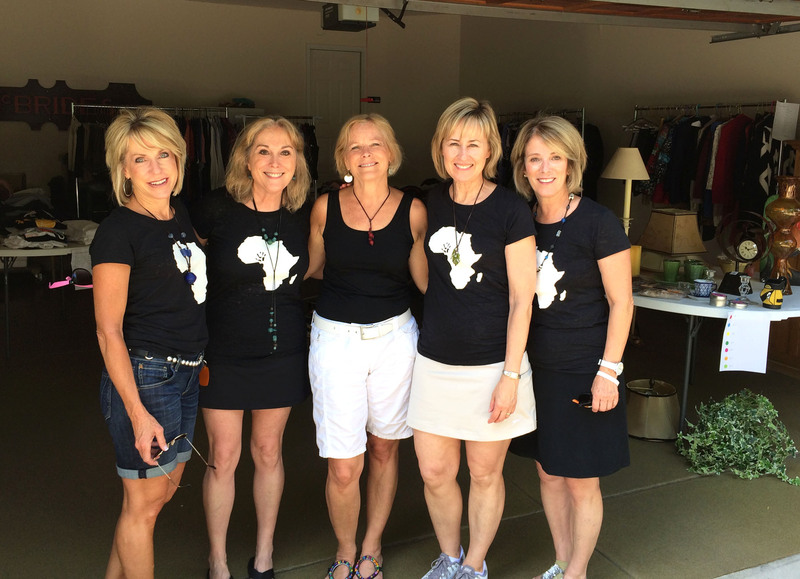 Every one of our committee members is passionate about Touch A Life, the children we support and the amazing folks at Touch A Life (especially Pam Cope and Rachel Brown!). During the sale we have a TAL table with copies of Jantsen’s Gift, literature about TAL and photos of the children. We encourage donations and discuss the work that TAL is doing to rescue, rehabilitate and restore the exploited child. We pray every day before and after the event – individually and corporately! We are so thankful to Beth and her team for their dedication year after year, and for sharing their experiences with us. We hope you are inspired and are ready to host your own event this summer!